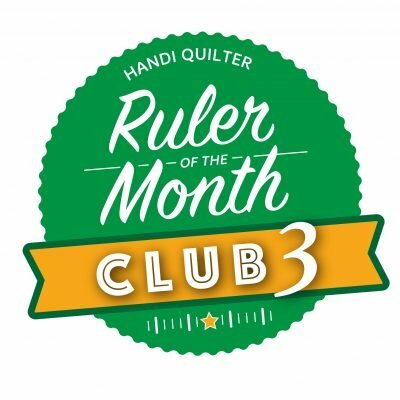 Membership allows for 6-months of demos and hands-on participation featuring new acrylic rulers developed by Handi Quilter. Signing up for the 6-month program requires full participation in the program and you are obligated to purchase each of the 6 rulers that will be featured. These rulers are being released early to Club members ONLY and the pricing offered to the members will be below retail when the rulers are sold through Handi Quilter. We set up the longarm, sit down and domestic sewing machines so that you can learn the skills required to work with rulers. Ruler work is the hottest thing in quilting right now. These rulers make sense, are reasonably priced and, with practice, your skills will improved each month.